We're seeking full-time and part-time service technicians to join our growing team of installation professionals in the San Francisco Bay Area. Ideal candidates will have electrical skills, experience with smart home automation, and a high level of enthusiasm for working with the latest technology. Basic tools, ladder, smart phone, computer, and reliable vehicle capable of carrying ladder and job-related materials. Comfortable working in various environments including heights greater than 10 feet, crawl spaces, attics, and on roofs. Familiarity with Nest, Ecobee and Ring products and hands on experience installing smart home devices such as thermostats, indoor/outdoor cameras, smoke detectors, door locks, and sprinkler controllers is a plus. Low voltage license also a plus. Strong commitment to integrity and high ethical standards. Professional appearance, excellent customer service and interpersonal skills, and the ability to establish positive rapport with customers. At least 3 professional references. Ability to pass a criminal background check and drug screening. If interested, please email your resume to jobs@avidworkstechnology.com. 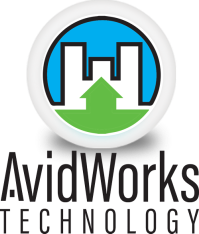 In your email please indicate why you are interested in the job and what skills and experience you would bring to AvidWorks.